The dentist’s office can be a scary place. Oftentimes, what you will find is that YOU will be the main staff person between the patient and dentist. Your mix of skills and personality could play a much bigger role than you may think. You can’t just walk into a dentist’s office and start working right away. 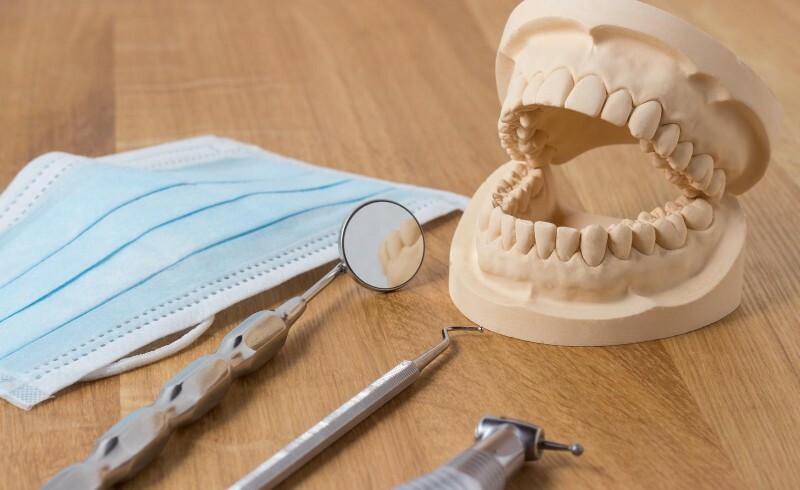 You will need to attend dental assistant training program to get the necessary training on the clinical side, patient care side, and other important areas of working in a medical care facility. The right training is crucial as it will give you a better understanding of what working in a dentist’s office is like and what you can come to expect. Remember the last time you went to the dentist? Do you remember how soothing it was to have a dental assistant guide you through the process until the actual dentist came in to perform the work? A positive and comforting attitude can do wonders for a patient who is already on high alert and has anxiety from having to visit the dentist. You will be juggling incoming patients, working with the dentist(s) as well as trying to get all of the paperwork done on your end. If you want to be a high‐level dental assistant, then you’ll need to be organized. With so much on your plate, you cannot afford to let things go, ESPECIALLY in a medical facility where you are talking about a patient’s health, privacy and billing. Communication skills are important in all professional work environments, but in a dental office, you absolutely need great communication skills. You’ll need to communicate what is going on with patients to the dentists, you will need to deal with some irate patients from time to time, and will need to work with other related offices, such as accounting and billing. In order to keep work flowing in the right direction, you will need to communicate effectively. There is a big difference between a crown and a cavity. There is also a big difference between someone needing teeth cleaning or dentures. It may sound silly, but if you aren’t paying attention to the details then someone may get a much bigger bill than they should OR the wrong procedure. Keep your eyes focused on the task at hand and pay attention to all of the little details. At the top of our list is the right training. When it comes to becoming a dental assistant, we feel that it all starts with the best dental assistant school and dental assistant programs. If you are thinking of becoming a dental assistant, we would welcome the opportunity to speak with you further and see how we can help. Please contact us today for more information, we look forward to hearing from you.